What is Bioxin Anti Aging Day Cream? Wolfson Berg Limited is the manufacturer of Bioxin Anti Aging Day Cream. The company takes pride in being the leading company in the supplements industry. Bioxin Anti Aging Day Cream, sold at a discounted price of USD 59.95 (original price is USD 78) for a jar of 1.7 fl oz. 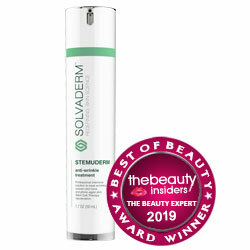 (50 ml), is an anti-aging cream that promises to help you achieve young looking and beautiful skin as easy as possible. Thinking of buying this cream? Let this Bioxin Anti Aging Day Cream review help you out! Bioxin Anti Aging Day Cream – Does It Really Work? What are the Ingredients in Bioxin Anti Aging Day Cream? 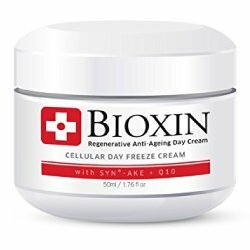 Does Bioxin Anti Aging Day Cream Have Any Side Effects? Replenish the moisture levels of the skin. Keep skin looking younger for longer. Visibly reduce the appearance of wrinkles and fine lines. Help skin cells to regenerate. Deliver immediate comfort to the skin. Keep on reading this review and find out more! There are many Bioxin Anti Aging Day Cream ingredients, but the most active one is the Syn-ake, which is a synthetic derivative of tripeptide that has been collected from the snake venom. It is said to offer the same effects as Botox injections and can inhibit the contraction of muscles which may cause creases. The good thing about this is that it does not limit the facial expression and movement. In addition to this, the product also contains Coenzyme Q10 which can promote the skin’s ability to regenerate skin cells and repair skin damage. Glycerin: It may help skin retain moisture while reducing inflammation. It is also used to moisture on your skin. Stearic Acid: It has cleansing properties so that it is used remove dirt, sweat and excess sebum from the skin but it can cause skin irritation sometimes. Apply Bioxin Anti Aging Day Cream to the neck and face after cleansing and toning the skin. Massage it into the skin using soft and gentle strokes. It is free of parabens. The cream is suitable for sensitive skin. It helps skin retain moisture However sometimes it causes itching or swelling. The cream contains potentially irritating ingredients. The use of the cream may come with possible side effects. It contains can Stearic acid which cause skin irritation sometimes. The ingredients used can cause allergic reaction. Bioxin Anti Aging Day Cream is one of the best-selling skincare product that offers plenty of anti-aging benefits that can help bring back the beauty and feel of aging skin its manufactured from the use of natural compounds, which work well in getting rid of skin age spots and imperfections. This formula hydrates the skin well and aid in skin protection from environmental stressors but may cause itching or swelling on skin.This formula has money back guarantee, discount offers and free domestic deliver.